• Are you sick and tired of waiting for your own hair to grow longer? • In serious need of a volume boost? • Fancy a change of hair colour or hair style? 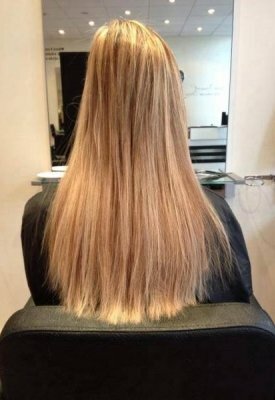 The dedicated team of expert stylists at Simon John Hair are professionally trained in the application of hair extensions, and are now on hand to transform your limp, lacklustre locks to fuller, shinier and healthier looking hair. Simon John Hair Stylist Jenny recently attended 2 day course in Leeds, studying and training in the application of Great Lengths Hair Extensions. The class and demonstration was taken by Rachael White (public figure, Beyoncé look alike and big brother house-mate of 2010), as well as Jodie Breeds (currently a finalist of extensionist of the year 2014) and successful salon owner. This premium service at Simon John Hair is exclusive to the Four Oaks and Walmley areas, with Great Lengths consultations being held at our Four Oaks Hairdressers, and Walmley Hairdressers. At Simon John, we recognise that our clients want the very best in hair extensions. They want excellent quality, versatility and above all real human hair. And that is why we use the country’s leading brand of hair extension suppliers, Great Lengths. Every single strand of hair supplied by Great Lengths, is ethically sourced from India, and revenue from the purchase of the hair is put back into the community where the hair originated. What are the Hair Extensions like? The extensions are of an outstanding quality. They are long-lasting, they look and feel incredibly natural and they can be styled and coloured to suit your day-to-day requirements. When the time comes to remove them, there is zero damage to either your hair or your scalp. Great Lengths specially formulated and unique bonds, attach to your own hair and are virtually undetectable either by sight or touch. The extensions are extremely comfortable to wear, sleep in and style as you choose. Hair extensions are also fantastic way of boosting your confidence. Favoured by celebrities all over the world such as Kate Beckinsdale, Jennifer Lopez and Kim Kardashian, hair extensions are the ultimate way of adding thickness to your own hair, leaving you feeling red carpet ready – in an instant! Top quality hair extensions are now thankfully a lot more accessible, and contrary to popular belief, they are not all about adding length. Not all of us are blessed with mounds of glossy hair, leaving many of to struggling to manage our tragically thin, wispy ends. Not any more! 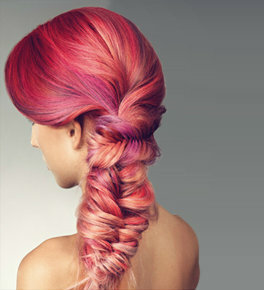 An addition of hair extensions can be as discreet or as breathtaking as you like. Is is all about what is right for you. How are the extensions fitted to my hair? Great Lengths Hair Extensions only use bonds that are keratin based, which works with your natural hair by allowing it to breathe and flow unlike alternative bonds. When this system was initially released, it was the talk of the industry. It’s impact was so huge, that it has cemented Great Lengths position as the world leader of hair extensions. This is a tried and tested method which uses a single strand, heat-based application. The results are amazing with thorough hair coverage guaranteed and the bonds virtually unseen. With adequate care and maintenance these extensions can last up to 5 months. This is a single strand application which is just as effective as the Classic Fusion system. The extension is applied using small, flat cylinder bonds. Hair is left feeling natural and looking fantastic. This cold fusion system uses ultrasound technology which means virtually no heat, but with the same incredible result as the Classic Fusion system. This Cold Fusion application also offers further protection to those with fine and heat-sensitive hair. With good maintenance and after care these extensions can last up to 5 months. This system is the world’s first to use ultrasound technology to apply both single and multiple strands of hair – up to 5 strands can be applied at one time. It has all the benefits of the Cold Fusion application but considerably reduces application time whilst still achieving superior results. With appropriate after care and upkeep these extensions will last for around 4 months. I want Hair Extensions! What do I do next? 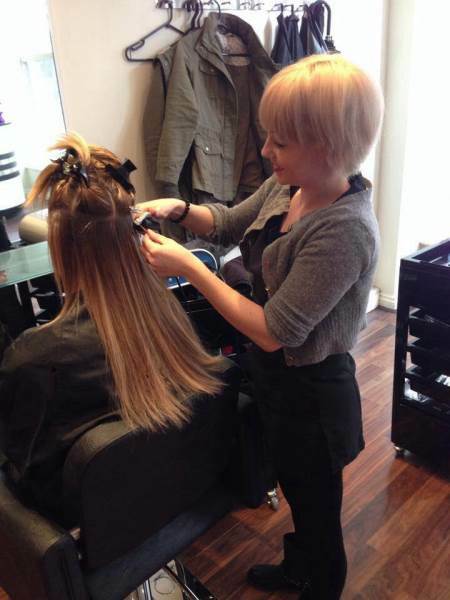 The first step is for you to book in with one of our highly-trained extensionists, who will work with you to understand your day-to-day routine.We will discuss any work or leisure activities that you undertake, in order for us to determine which extensions and level of maintenance will be right for you. We will also look at the condition of your hair and scalp to understand which of the applications methods will be most suitable when it comes to applying the hair extensions. • Hair is reusable in most circumstances. • Celebrities using these extensions are – Danielle Lloyd, Michelle Heaton, Girls aloud, Liz Hurley, Towie girls and men including Tom Pearce. Whatever your style, you can be assured that at our Four Oaks, & Sutton Coldfield salons, we are dedicated to working with you to achieve the look that you desire!